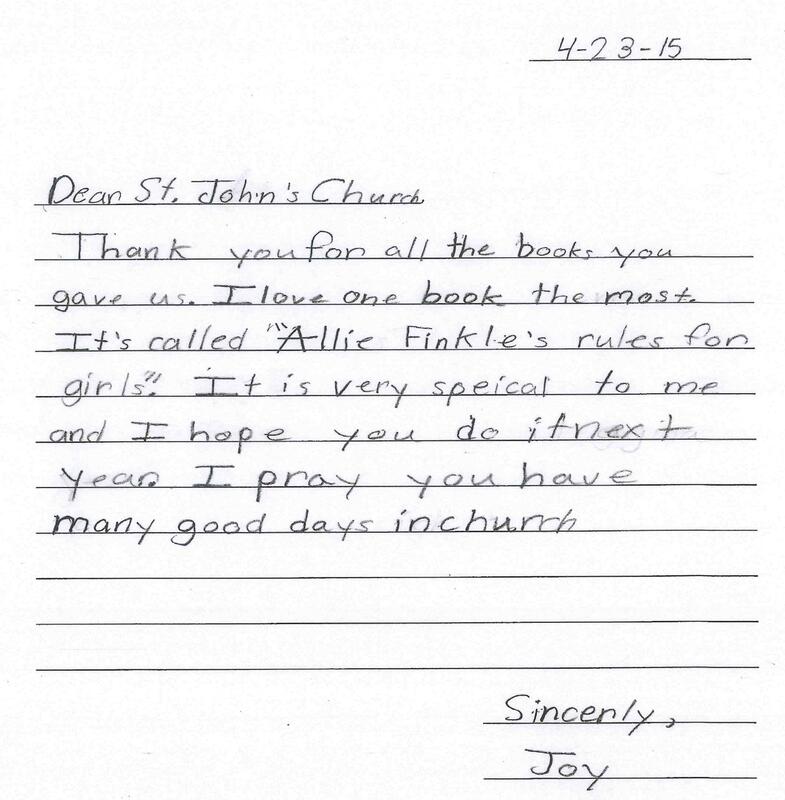 Art by Joy, a child who received the some books to take home from our Jackie’s Books Mission Project. St. John’s UCC has a mission program that began just before I came: a beloved member named Jackie passed away, and her family and the congregation were hurt and grieving. So they decided to remember her by honoring one of Jackie’s passions– after years of being a Baltimore City schoolteacher, Jackie was passionate about getting books into the hands of children in city schools that had inadequate resources and libraries. So the congregation began collecting books (new and gently used) to donate to city schools. Currently, the books are distributed to any school or library that we hear needs them. We collect books during the year, with a special emphasis during our Vacation Bible School. This year we got a packet of “thank you” notes from one of the local schools. And they are just heart-warming! 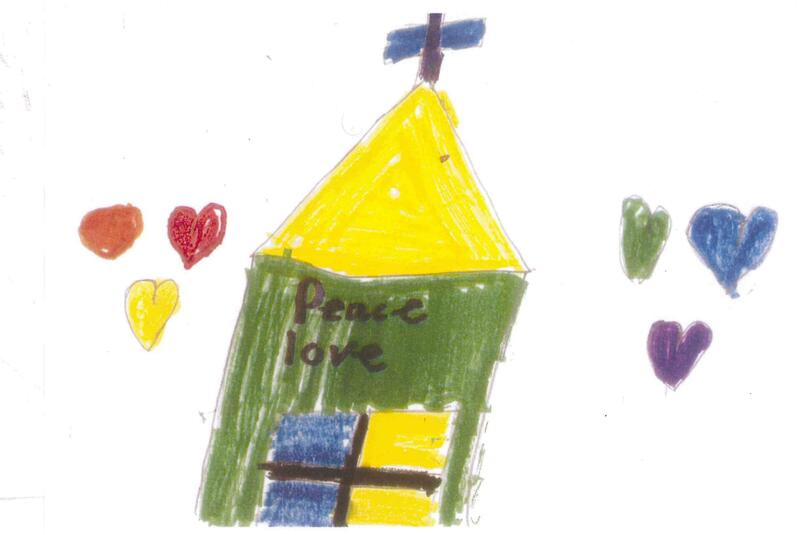 I especially love the drawing of our church included in one little girl’s note. Here is truly evidence that God is still speaking and working in the lives of God’s people! I really think this child’s name says it all.